If there is a team that has clearly emerged victorious from the 2017 summer transfer window, it is none other than Paris Saint-Germain. The French outfit faced a heartbreaking exit in the Champions League last season, and failed to win the Ligue 1 – events that led them to go wild in the transfer market gone by. The club showed their intentions to rise back to the top, and spending unimaginable amounts of money was clearly a part of the plan. The owners went ahead and reeled in Neymar from Barcelona for a world-record €222m, fee and then simply went and signed Kylian Mbappe on a season-long loan, with the price assumed to be €180m for next summer. 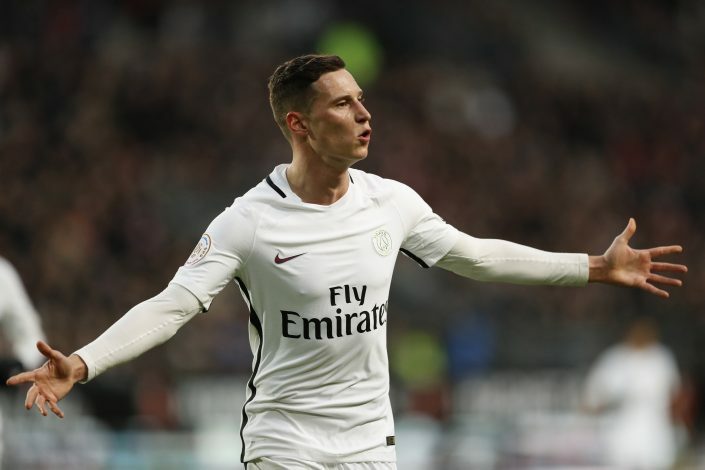 With the addition of such world-class talent in the front end of the park, the future of a certain Julian Draxler might be seen as one that hangs in the middle of nowhere. Draxler has had a rough time with the Ligue 1 club so far, and still awaits to create the impact many expect of him. Gametime will be even tougher to come by this season, and if the German believes he is key in helping the side towards winning trophies, then every second on the pitch will have to be of the highest order and quality. The winger has made two substitute appearances so far, and will be itching to come to Paris and breaking the shackles this season.